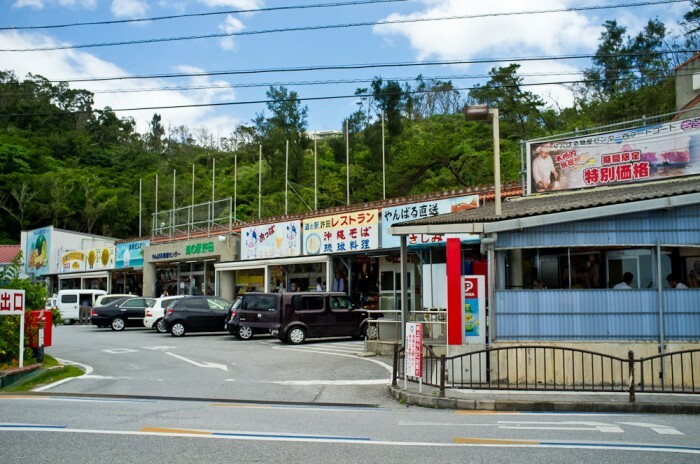 Located just off the expressway on highway 58 in Nago City you'll find a small Rest Stop or Road Station as they are referred to here called Kyoda. Like most Road Stations in Okinawa Kyoda provides road information and an opportunity to rest before continuing on your trip. You will also find a variety of local fresh produce, fruits and seafood, bento lunches and other food shops such as soba and tacos. Kyoda rest stop off Highway 58 in Okinawa. Vegetables for sale at Kyoda rest stop in Okinawa. Shop keeper at Kyoda rest stop in Okinawa. There are souvenir shops and handmade clothing and jewelry products. All of which are from the local Yanbaru area. 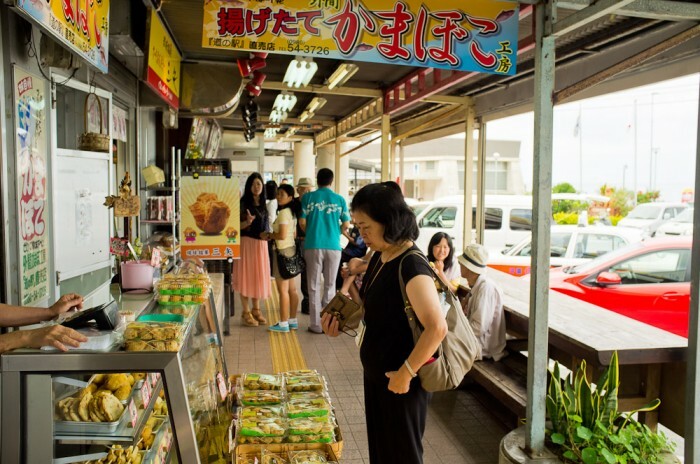 One of the most popular food treats are Okinawan Doughnuts called Sata Andagi. I'm told that you must arrive early (before noon) as Sata Andagi sell out quickly. Handmade Souvenir Shops at Kyoda rest stop in Okinawa. Kyoda is an interesting mix of food and souvenirs. So whether you need to stretch your legs or grab a bite to eat Kyoda is sure to fit the bill. Kyoda Rest Stop in Okinawa. 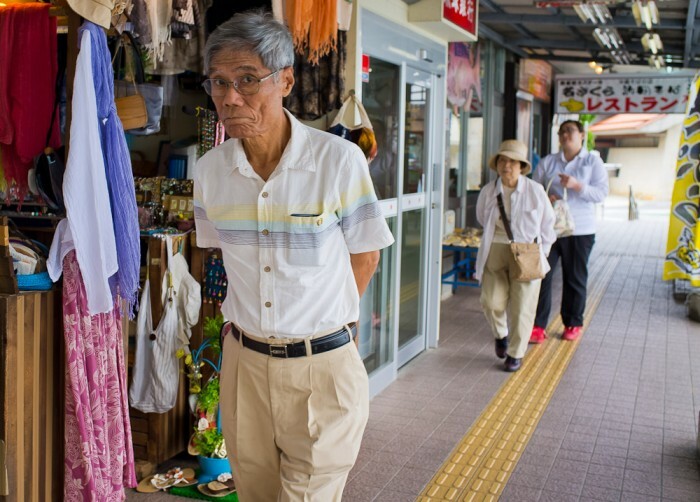 Man shopping at Kyoda rest stop in Okinawa.